The 2019 awards are based on more than 1.5 million reviews. Fewer than 2% of hotels worldwide have received the award. 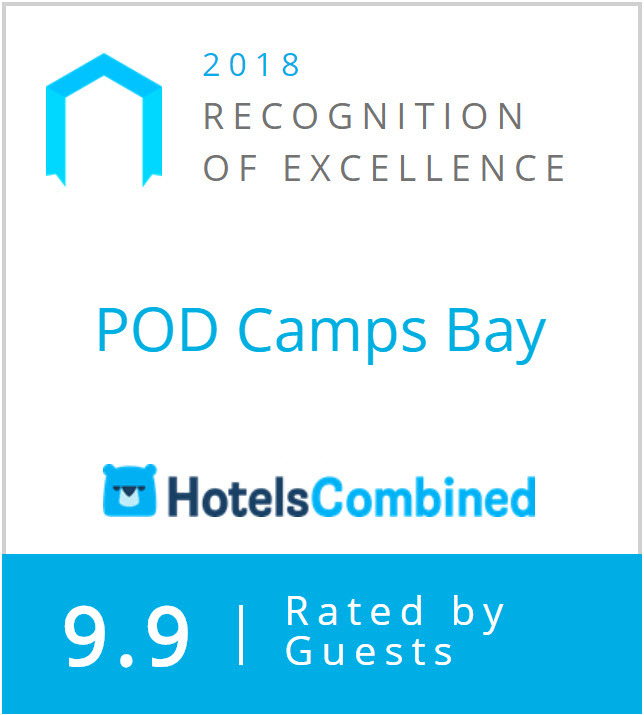 POD Camps Bay was awarded the HotelsCombined Recognition of Excellence for 2018. This award is in recognition for consistently achieving the highest standards of Customer Satisfaction worldwide. POD has won the 2018 Luxury Boutique Hotel of the Year award for Africa and the Middle East. 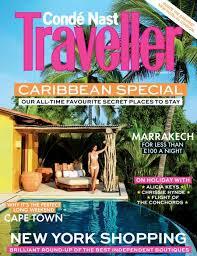 With recommendations from publications such as Jetsetter, Oyster and Frommer's, POD Camps Bay is featured on TripExpert.com as one of the best hotels in Cape Town. 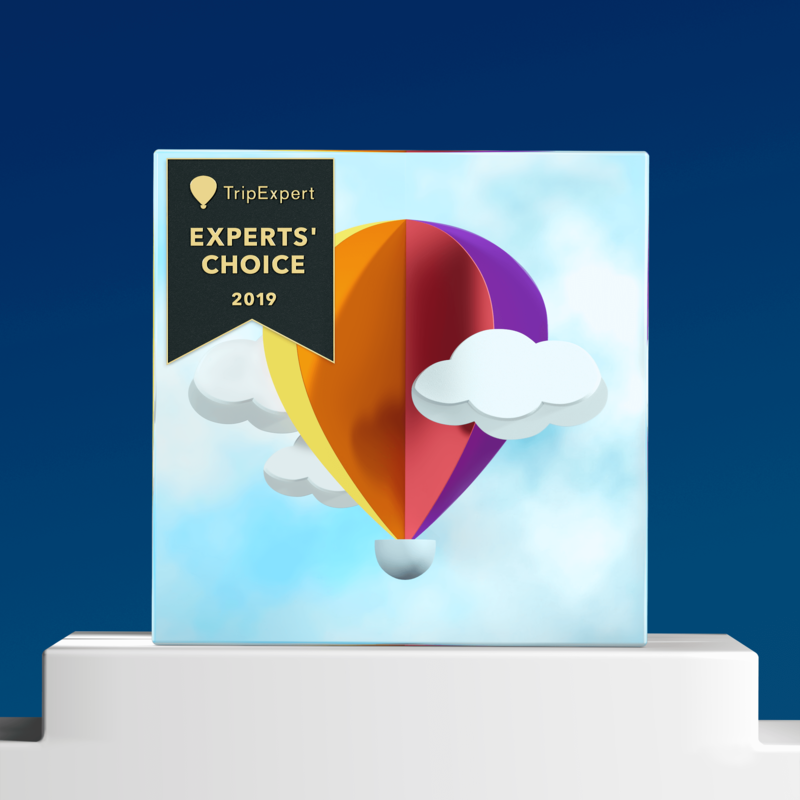 POD Camps Bay has also received TripExpert's Best of Cape Town award. 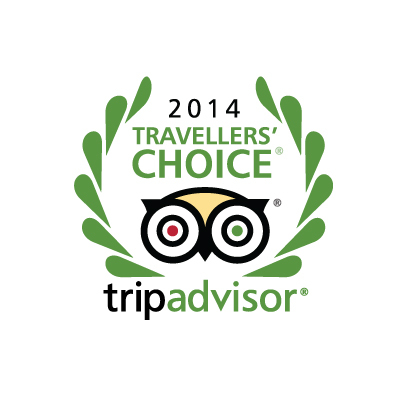 Reviewers agree that it is an outstanding choice for accommodation in Cape Town. Awards are presented to selected establishments who consistently achieve a high customer review rating in the following categories. POD has been nominated for the 2017 Travel & Hospitality Awards. 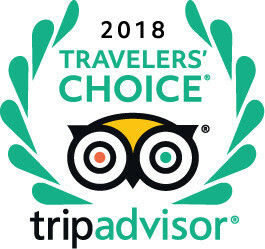 The 2017 Tripadvisor Travellers’ Choice awards are in and POD won multiple awards again. We held onto the #1 Luxury Hotel in South Africa position for a 2nd year in a row. POD has been shortlisted for the Luxury Travel Guide Awards for Africa and the Middle East. 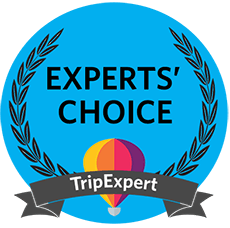 Each year, TripExpert recognizes the best hotels around the world with this award, which is based on professional reviews from over 70 top travel guides, magazines and newspapers. This 17-room boutique hotel was designed by architect Greg Wright and is much less clunky than many of the wood and steel copycats nearby. Overlooking Camps Bay main beach, POD is distinguished by its open plan interior and synthesis of raw materials. 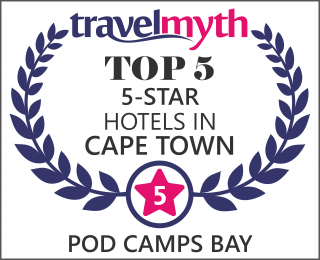 POD Camps Bay is now ranked in the top 5 five-star hotels in Cape Town according to Travelmyth. This award is in recognition for consistently achieving the highest standards of customer satisfaction worldwide. 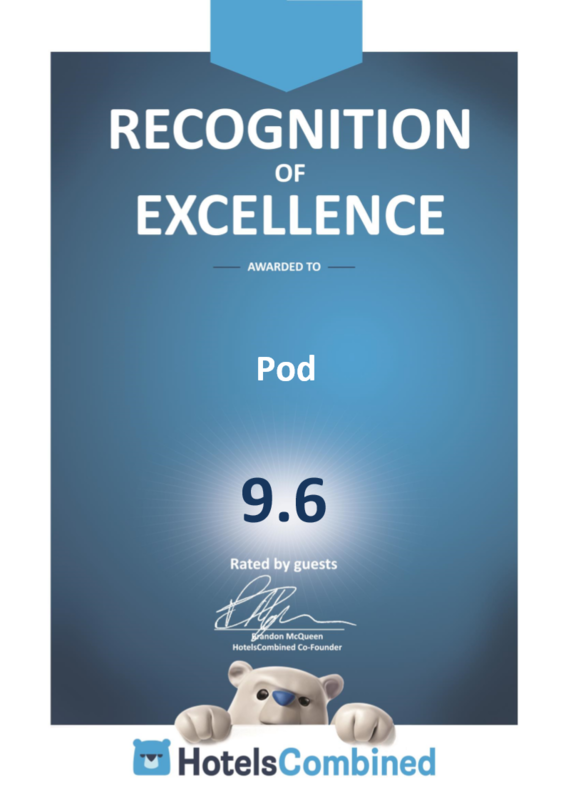 POD is now representing the top 3% of accommodation worldwide. 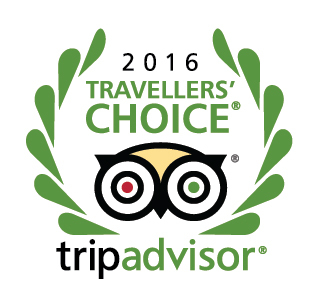 The 2016 Tripadvisor Travellers’ Choice awards are in and POD won multiple awards again, including the #1 Luxury Hotel in South Africa! POD was awarded the #2 position in the Urban Oasis category at the Style Junkies Awards 2015. 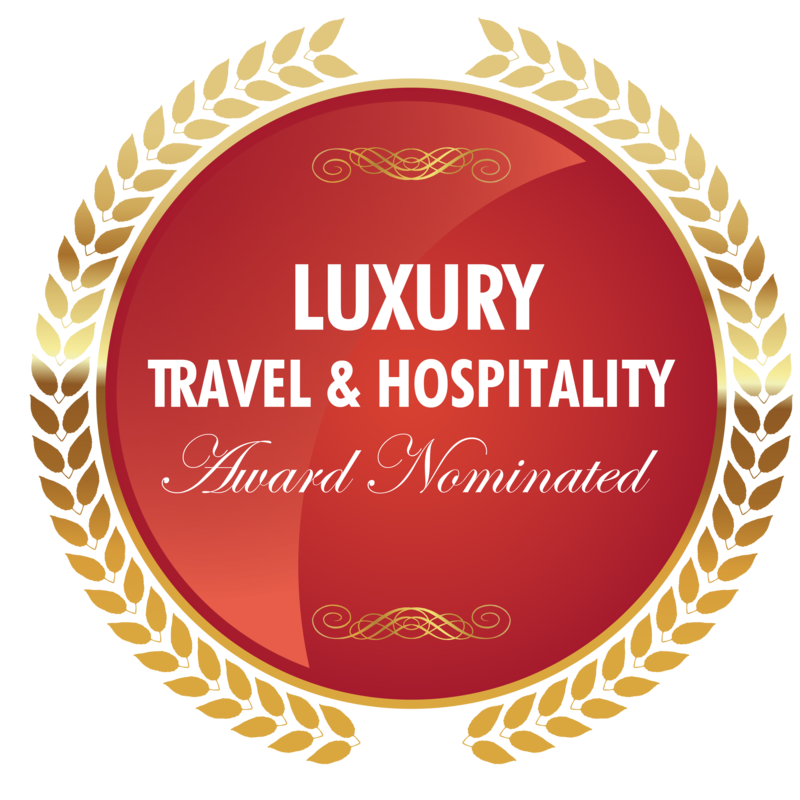 What makes a hotel a nominee? Founder of The Style Junkies Myrthe Strijbos explains: “Apart from offering the expected bells & whistles, a hotel must be good-looking, authentic, personal and unique. Furthermore, we want to feel the love, passion and pureness.” The Style Junkies Awards 2015 list is truly a global representation of the best the luxury travel world has to offer. 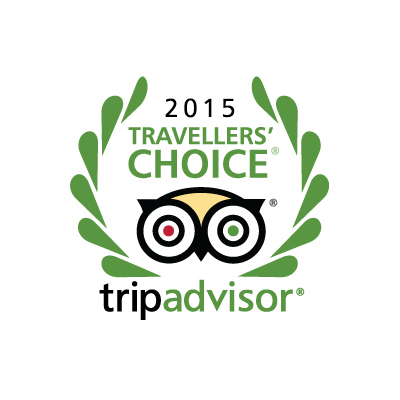 POD Camps Bay snagged an Experts Choice Award for being one of the top hotels in Cape Town in 2015. 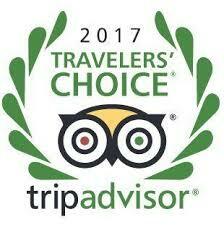 Expert reviews from sources such as Fodors, Frommers, Lonely Planet and Oyster count towards hotel ranking. No city in the world is as creative as this place right now. Artists, designers and chefs have taken over once run-down buildings and there is an upbeat energy on the streets says Lisa Grainger. Just one sleep is all it takes to get to Cape Town; a 12 hour over night flight. And at the end of it, no jetlag, but instead an instant hit of winter sun. And a city, which is really no more than a small sea side town, with an attitude that's way more than the sum of its parts. 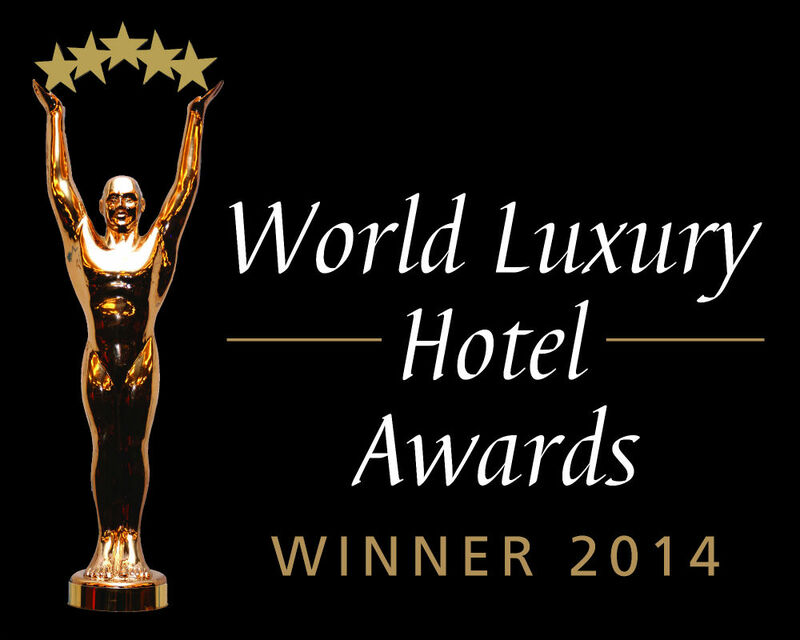 On the 6th December 2014, The World Luxury Hotel Awards announced that POD Camps Bay had won an award for the Best Luxury Design Hotel in South Africa. 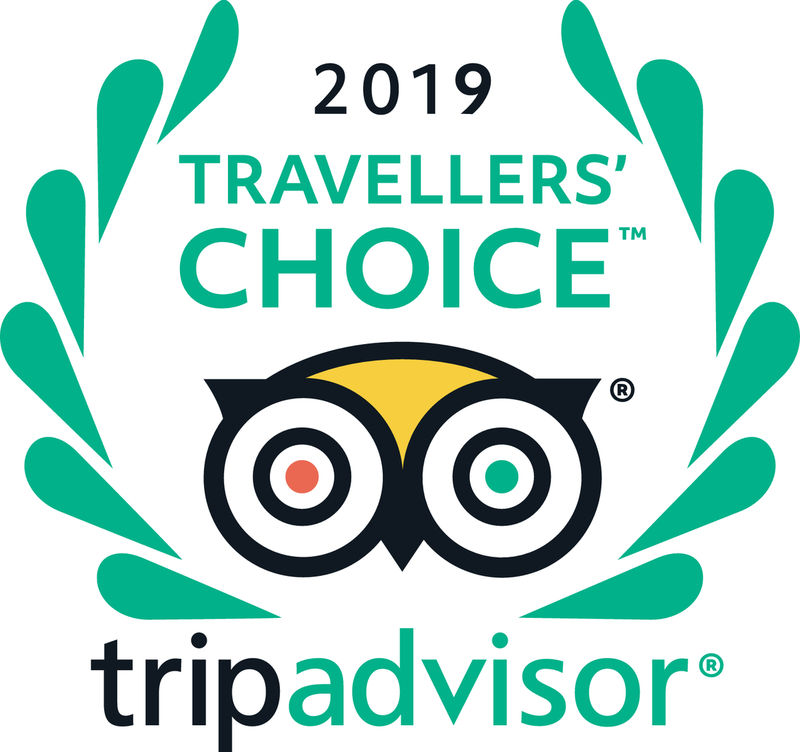 POD received 4 Travellers Choice awards; 4th Best Luxury Hotel in South Africa, 4th Best Hotel for Romance in South Africa, 5th Best Hotel for Service in South Africa and 6th Best Small Hotel in South Africa. "Camps Bay, an up-market suburb of Cape Town is nestled between the grey cliffs of Table Mountain and the deep blue Atlantic ocean. It offers to say the least, a breathtaking sight! Located close to the action and directly across from the famous Camps Bay beach, is POD Camps Bay, a 15 room boutique hotel." "Camps Bay, an up-market suburb of Cape Town is nestled between the grey cliffs of Table Mountain and the deep blue Atlantic ocean. It offers to say the least, a breathtaking sight! Located close to the action and directly across from the famous Camps Bay beach, is POD Camps Bay, a 15 room boutique hotel. Floor to ceiling glass offers spectacular views over the ocean as well as the 12 Apostles Mountain Range. The rooms feature an open plan layout which incorporate elements such as granite, steel, wood and glass for a raw yet polished effect." "For those with a taste for the trendy and a keen eye for design, a stay at this luxury boutique hotel is a must. Set in the idyllic seaside suburb of Camps Bay, a stone's throw away from the beach, the 15-roomed POD is a design master-piece think clean contemporary wood and slate finishes with every amenity and functionality carefully curated." "For those with a taste for the trendy and a keen eye for design, a stay at this luxury boutique hotel is a must. Set in the idyllic seaside suburb of Camps Bay, a stone's throw away from the beach, the 15-roomed POD is a design master-piece think clean contemporary wood and slate finishes with every amenity and functionality carefully curated. 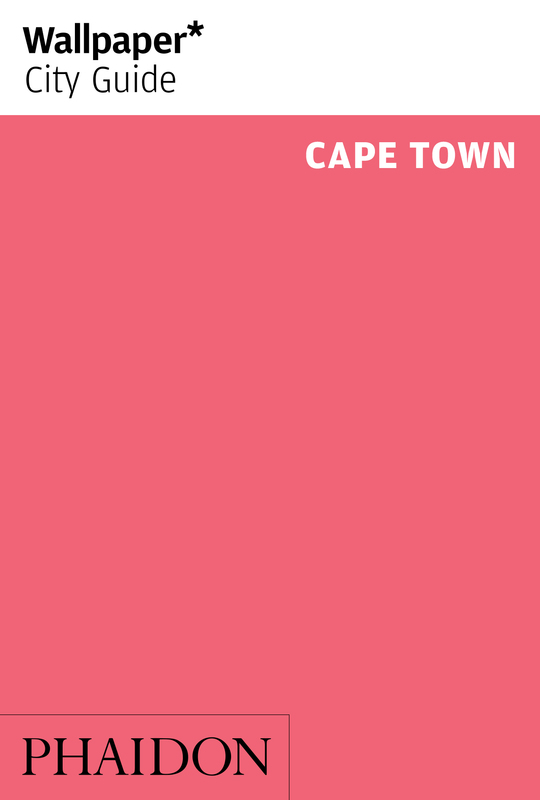 Wallpaper Magazine has given a nod to the designsavvy POD as it features in the 2013 Wallpaper City Guide Cape Town." "Overlooking Camps Bay's main beach, the rectilinear architecture of Pod is gaining currency along the Atlantic Seaboard. The balconies in the Deluxe Suites allow you to watch the body conscious doing yoga on the beach, or you may prefer the view from the handsome bar/lounge." "If you are eager to ogle the (seriously) beautiful inhabitants of Camps Bay, stay at the Pod, a glass-walled boutique hotel with loungers on the beach where staff deliver caipirinhas all day long. Sunglasses for stealthy hottie spotting essential." "POD is the only modern deluxe boutique hotel in Camps Bay, the strip of palm-lined beach that is Cape Town's sunshine playground. Quietly discreet, with just 15 bedrooms, it delivers design with a big D; but it's terribly relaxed too, breezy even, which is probably why it appeals to an international, design-savvy crowd that likes to fly a little below the radar." "Camps Bay is like Rio's Ipanema, the hip hub where you find all the best restaurants, the great bars, the cute little bikini shops. And Pod is in the seaside centre of it. It's beautiful, with only 15 rooms, all glass, textured African woods and unpolished slate." "An unimposing three levels high, this striking modern structure is a study of superbly integrated design, from the outside in. And POD is most appropriately named, the space lending itself entirely to stylishly relaxed cocooning." "Designed by Greg Wright Architects, this intimate 15-room retreat in Cape Town's Camps Bay is a beautifully understated work in glass, steel and African timber. Guest lounges on each floor encourage sociability. Rooms come with spectacular views of the Atlantic seaboard or the Twelve Apostles mountains." "'Ibiza' lounge tunes mixed with a sophisticated yet understated 'greige' colour palette make quaffing a glass of champagne after a long, hard day on the beach obligatory to be followed by a night out on the Camps Bay strip, of course." "'Ibiza' lounge tunes mixed with a sophisticated yet understated 'greige' colour palette make quaffing a glass of champagne after a long, hard day on the beach obligatory to be followed by a night out on the Camps Bay strip, of course. But as each room comes equipped with flat-screen TV, iPod docking station, incredible views and the most amazing double showers we've ever encountered, you'll find hanging out in your room just as tempting."